A3 Collaborative participating organization, Penobscot Community Health Care is sharing some impressive initial results from its pharmacy department, and in partnership across organizational departments. The Federally Qualified Health Center and Patient Centered Medical Home with 16 sites, 9 primary care facilities, and 4 in-house pharmacies, located in Maine, holds a strong mission to provide comprehensive, integrated primary health care services for all to improve the health and wellbeing of our patients and the Maine communities we serve. The pharmacy department enrolled in the national A3 Collaborative with the bold desire to show by the end of 2018, its pharmacist and nurse care manager team will reduce 30 and 90-day hospital readmissions for internally defined high-risk patients that have had inpatient stays in two major local hospitals by 50%, from baseline in August 2016. Less than halfway into 2018, huge strides towards this bold goal are underway! Using the collaborative learning structure deployed by AIMM, Penobscot pharmacy department wasted no time in strategically planning to meet its goal with support from leaders within, and strong relations across the organization. As part of the collaborative learning process, an “A3 Collaborative team” was formed within Penobscot, to include a tiered approach of the pharmacy department, including the Chief Pharmacy Officer, Operations Manager, and Transitions of Care Pharmacist. The team also had executive support from Vice President of Medical Affairs and Clinical Leadership team. During its 12-month experience, the Penobscot team worked to improve its identification of high-risk patients, utilizing state run medical data repository and risk analysis tool leveraged to identify currently hospitalized patients at high risk for readmission. Additionally, the team implemented a care delivery process where a pharmacist and nurse care manager team identify eligible patients, offer service, and perform home visits for patients that accept the service. Penobscot is already seeing initial results in clinical outcomes, patient lives saved and estimated savings. 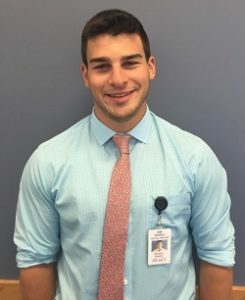 The pharmacists are key to helping patients resolve medication-related problems, including challenges with affordability, medication errors or interactions present, missing prescribed medications at the home, patient not prescribed medication at the home, and high risk medication improperly monitored. The team continues to improve the care delivery process and expand access to home visits from a pharmacist and nurse. A milestone victory to its bold goal is expanding its home visit care team which now includes: 2 nurses, 2 pharmacists, and 1 social worker. Penobscot Community Health Care was recently featured in national publication: Pharmacy Practice News . The A3 Collaborative team lead, Matthew Christie, PharmD, was invited to share their success story recently with the ASHP Pearls CE webinar series, offered to ASHP members. Learn more about the A3 Collaborative.